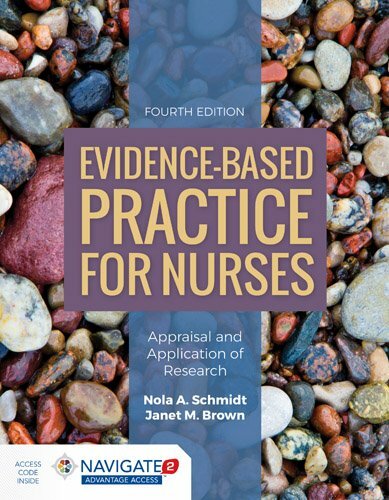 1284122905 -Evidence-Based Practice for Nurses: Appraisal and Application of Research, Fourth Edition is an essential resource for teaching students how to translate research into practice. The text is based on the five step IDP process (knowledge, persuasion, decision, implementation, and confirmation). The authors employ a fresh and updated approach to teaching nursing research using evidence-based practice. The Fourth Edition features more real-world examples, expanded coverage of qualitative methods, discussion of various types of research questions and explores the hierarchy of evidence.